Petty crime is on the increase all over Australia including Brisbane, Gold Coast, and Southeast Australia. If you feel threated by this scourge then stay on this page. Read more about the best home security camera system Australia families need urgently, and how to lay your hands on a reliable system real soon. Qld Diamond Security is a market leader in security cameras and alarm monitoring. Order from us and you need no longer wonder which security camera system is the best, because you found it here. We deliver within a day all over Australia. Be quick while stocks last the next consignment will cost more. What is the Best Outdoor Security Camera to Buy? 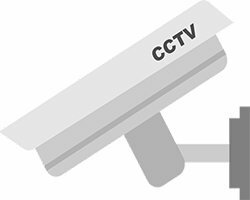 If you need to know how much are security cameras for your home, then message us soon and we’ll quote you a price. Will you visit your local security shop and be persuaded to over-spend? Will you go to the local hardware store and try to make sense of it? Will you take your chances with anonymous faces on eBay and Amazon? Perhaps you should rather buy direct from Qld Diamond Security. We have feet on the ground in your part of Australia. Call us now on 1800 553 788 for a free quote and friendly advice.